couple has no financial secrets. Each party knows what the other has and what he or she expects. Determining how to handle issues like these in advance of marriage can help set expectations for both parties and alleviate the cost of future disagreements. Now, let’s take a look some of the pros and cons of entering into valid prenuptial agreements. • A premarital agreement can protect the inheritance rights of children and grandchildren from a previous marriage. • If you have your own business or professional practice, a premarital agreement can protect that interest so that the business or practice is not divided and subject to the control or involvement of your former spouse upon divorce. • If one spouse has significantly more debt than the other, a premarital agreement can protect the debt-free spouse from having to assume the obligations of the other. • If you plan to give up a lucrative career after the marriage, a premarital agreement can ensure that you will be compensated for that sacrifice if the marriage does not last. • A premarital agreement can address more than the financial aspects of marriage, and can cover any of the details of decision-making and responsibility sharing to which the parties agree in advance. • A premarital agreement can limit the amount of spousal support that one spouse will have to pay the other upon divorce. • A premarital agreement can protect the financial interests of older persons, persons who are entering into second or subsequent marriages, and persons with substantial wealth. • The agreement may require you to give up your right to inherit from your spouse’s estate when he or she dies. Under the law, you are entitled to a portion of the estate even if your spouse does not include such a provision in his or her will. • Starting a relationship with a contract that sets forth the particulars of what will happen upon death or divorce can engender a sense of lack of trust. • It can be difficult to project into the future about how potential issues should be handled, and what may seem like an inconsequential compromise in the romantic premarital period may seem more monumental and burdensome later on. • A low- or non-wage-earning spouse may not be able to sustain the lifestyle to which he or she has become accustomed during the marriage if the agreement substantially limits the amount of spousal support to which that spouse is entitled. • In the “honeymoon” stage of a relationship, one spouse may agree to terms that are not in his or her best interests because he or she is “too in love” to be concerned about the financial aspects and can’t imagine the union coming to an untimely end. 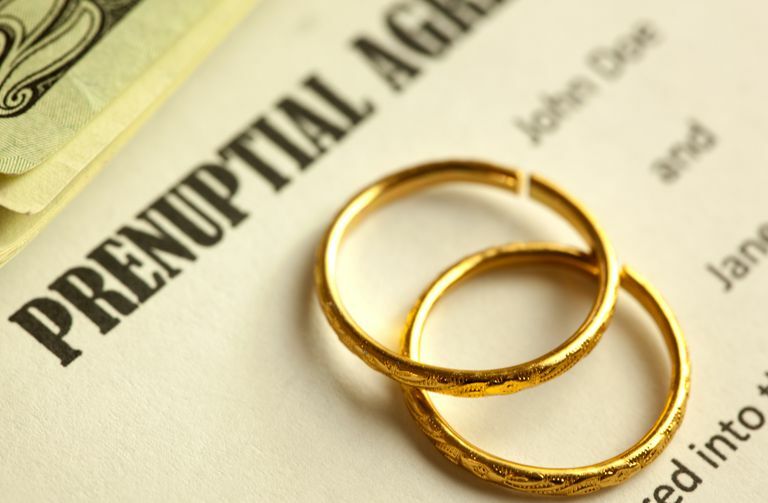 Are Prenuptial Agreements Right for You? interests of each are covered. Remember, courts have the ability to review and make decisions related to prenuptial agreements. Thus, it is important to seek out an experienced family lawyer when considering a prenup.